Today was the opening for the newest section of the Glebe Foreshore Walk. The highschool arranged a BBQ fundraiser, which we helped out on for a while. We then enjoyed a lovely stroll along the new section. There was music by Hot Potato Band and the obligatory pesky seagulls! Blackwattle Bay is still a working bay - with cement works, a marina & fish markets. Sydney Uni is also conducting research into marine diversity in this area. 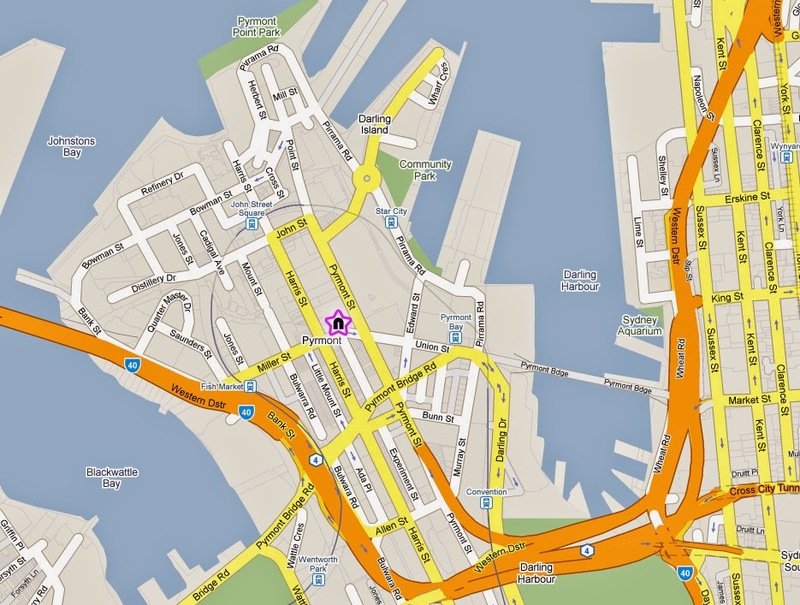 According to their blog, 50% of Sydney Harbour's original foreshore has been replaced by seawalls. Traditional seawalls don't contain enough crevices, holes & boulders to encourage & sustain a wide range of sea life. The Flowerpot Project aims to redesign seawalls and other artifical structures to encourage marine life. One way of doing this is to install 'flowerpots' on the seawalls. At high tide they are submerged. At low tide they retain water thereby creating an artifical rockpool. In just 7 months, 21 new species are living in the pots. This new section of the Glebe Foreshore walk has had 20 flowerpots installed along its seawalls. 10 near The Boathouse and 10 on the sandstone wall at the end of Glebe Point Rd. Great views of the ANZAC Bridge occur at regular intervals. Pesky seagulls trying to scanvenge a sausage from the school BBQ! The new Blackwattle Bay section of the walkway now joins Bridge Rd to the parks around Johnstons Bay. I haven't participated in Saturday Snapshot for quite some time thanks to a slightly crazy schedule. I'm hoping to get back into a proper blogging groove soon. One of my favourite spots in Sydney! Thanks for the update Brona- and the education- I'd never thought about foreshore wall vs natural foreshore- I'm glad the clever folks are thinking about it and keeping that beautiful harbour healthy. That was one of the main things I got out of today too Louise - next time I will plan my walk for low tide to spot the marine flowerpots. These are all great photos, but I especially like the first one with the bridge. It's just beautifully laid out with the people walking and the bridge in the background. Love the people "pelicans" too! Have a great weekend, Brona! That is a lovely part of Sydney and one I had never been to until last year. One thing that impressed me was how clean the cement plant and trucks were there. This was much different to the cement trucks here in our part of America were which look like they are ready to fall apart and are wearing a good ton or two of cement caked on the sides. I would love to go back to Glebe and check out the boardwalk some time. Great pics and a nice event. I haven't come across boardwalk opening ceremonies before. What great photos, especially the Hot Potato Band (fantastic name) and the pesky seagulls. The seagulls were great fun...although I think they got a little overheated inside. Thank you for sharing your walk today. I so enjoy seeing other parts of the world. Great photos of a beautiful area. I love the seagulls! Looks like this would be a great place to spend an afternoon.